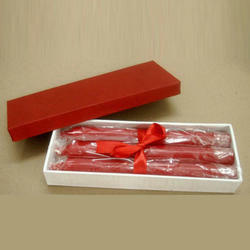 Long GENERAL Candles, Coloured/White; Scented/Unscented. Backed by years of industry experience, we are engaged in offering a premium quality range of Colored Spiral Candle. 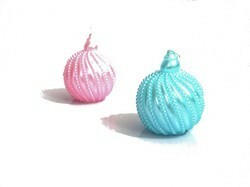 Decorative candles in different colours , used in dinner party tables and functions. Colour candles used in hotel and clubs. Color: Yellow, Light Yellow, Dark Blue, Navy Blue, Green, Parrot Green, Pink, Rose, Honey colour, Red. We offers a exclusive range of Colour candles, Designer candle, Decorative candles, Scented candles, and Spiral Candles. We Provide the creative design and innovative product for our customers. We lay special emphasis on the packaging so as to ensure damage-free deliveries. For this, we make use of high quality material for wrapping our products. We are supported by a well-managed and automated warehouse system wherein we store the entire lot in a secured manner. The automatic handling, storage and distribution of the goods thus become an ease. We offer a stylish range of Twisted Glitter Candle. These are available in different sizes and shapes such as pillar, container, dinner candles and more. Our aesthetically designed range of candles are available in the fragrance of jasmine, lavender and sandal with a few more. We always ensure that the wax and wick used in manufacturing candles is as per set industrial standards. Golden Glow Candles come in a pack of 20 pieces. The height of each candle is 10 cm. Each pack contains around 5 to 6 different colours. These are premium quality candles with minimum dripping and odour. They boast of an excellent finish and attractive colours. Coloured candles with spiral design.